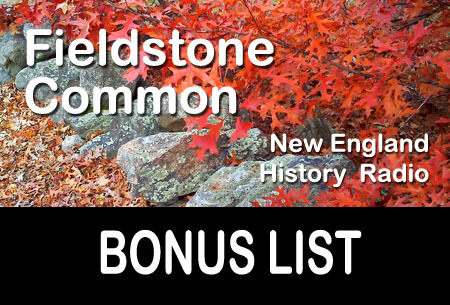 This week on Fieldstone Common our featured guest is Joan Bines, author of the book Words They Lived By: Colonial New England Speech, Then and Now. 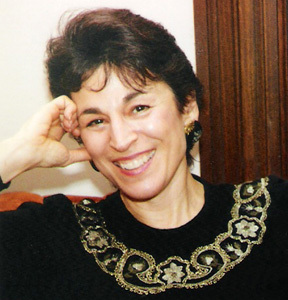 Joan Bines received her BA from Brandeis University and her doctorate from the University of Virginia in American diplomatic history. After teaching for many years, she became director of the Golden Ball Tavern Museum, a gracious 1760s Georgian tavern and home in Weston, Massachusetts. Here with a dedicated group of volunteers, she oversaw and continues to oversee the preservation of the museum and to build its education and outreach programs. Here also, she has been able to indulge her love of words, their histories and meanings, as well as her love photography. You can learn more about Joan’s photography at her website as well as check out information about the Golden Ball Tavern Museum. 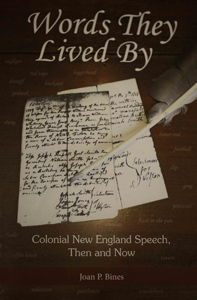 Words They Lived By: Colonial New England Speech, Then and Now offers an entertaining and informative peephole into colonial New England life, as well as giving insight into a bit of our own. Trade paperback; 147 pages with bibliography, index and lots of color and BxW photos and illustrations. Words They Lived By: Colonial New England Speech, Then and Now is available for purchase from Amazon.com and other booksellers. In this interview we talk about the many words used in colonial speech that are still in use now but may have different meanings. Words like diaper, alarm, neglige, loggerhead and many more. We also discuss the Golden Ball Tavern Museum and the library and archives resources available there. Two copies of Words They Lived By: Colonial New England Speech, Then and Now were given out to the Fieldstone Common audience courtesy of Joan Bines. Congratulations to our winners and thanks to Joan for their generosity in donating the books! Question: What’s that’s new stuff in the Fieldstone Common title (FC 68)? Answer: That makes it easier, especially for iTunes and other podcast listeners, to keep track of which episode they are listening to. FC stands for Fieldstone Common and 68 is the number of the episode.